We highly recommend purchasing our Oasis Ukulele Humidifier. The Brand New 2019 Kamoa ® M5 Series features an all solid Mahogany Body which provides a full, clear and notably woody projection. 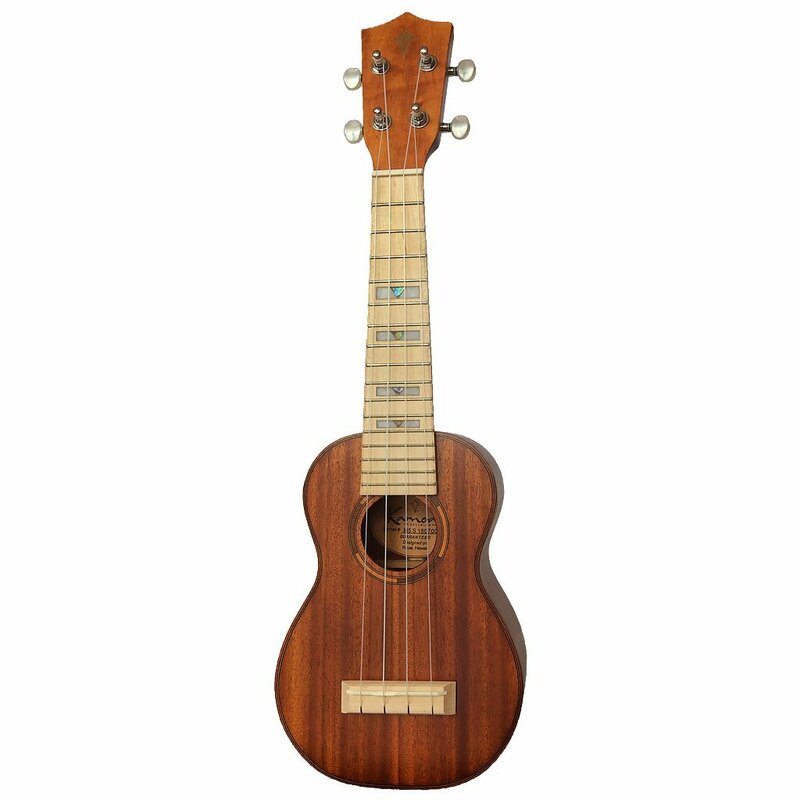 The M5 Mahogany sound even rivals the projection of our Spruce tops giving you all the projection any natural wood colored ukulele has to offer. The M5 Mahogany is slightly harder wood than spruce which sounds brighter in tone and more like Hawaiian Koa Wood. The new Kamoa ® M5 Mahogany has an ultra, light-weight feel and the Maple fretboard makes the M5 feel silky-smooth to the touch giving you the best playability possible. Kamoa ® M5 is our most popular NEW Kamoa ® model at Larry's Music Kauai the M5 has clearly earned a well-deserved place in the Kamoa® brand family of products.